If you have been wondering whatever became of the Lancaster bomber which has towered above Jackson Park for many years, the crew leading the project has prepared a report to city council on its progress. 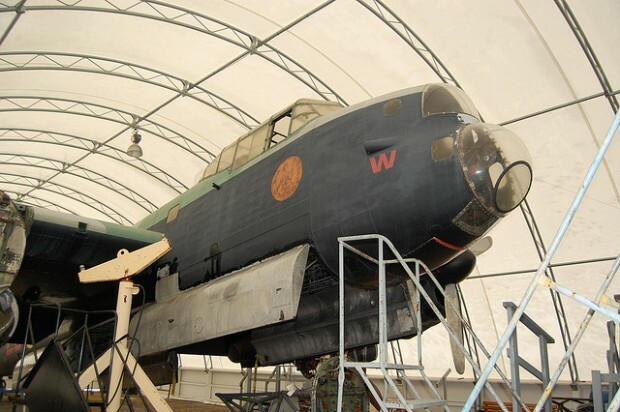 The bomber is now in phase two of its restoration at a hanger located at Windsor Airport. Work undertaken includes paint striping, which began last year in the warm months and will continue this year once the warm weather returns. This tedious work is very vital so they can then assess the condition of the underlying aluminum and make any needed repairs. Repairs have been made to the power supply, and engine block assembly. Work on various engine cowls and random panels are ongoing and progressing nicely. Once warmer weather returns, two major projects will begin. The first is the removal of the lower fuel tank covers on the inner wings. This will allow for an inspection of the entire internal structure and halt any further corrosion, should any be found. The second is the removal of sections of its tail. Work to restore this will take approximately 25-30 weeks. From February 2010 till January 2011, the team has logged a total of 4593.25 hours on the project. This includes work on the Lancaster, the hanger it is stored in, as well as fundraising and administrative tasks.